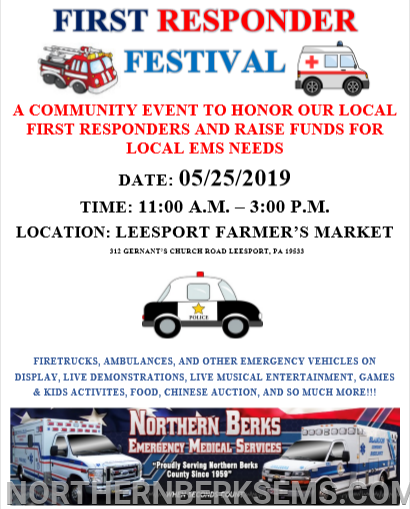 Northern Berks EMS is excited to be hosting our annual First Responder Festival on Saturday, May 25th at the Leesport Farmer's Market from 11AM-3PM. This event is FREE admission! Bring your whole family, entertainment for all ages!